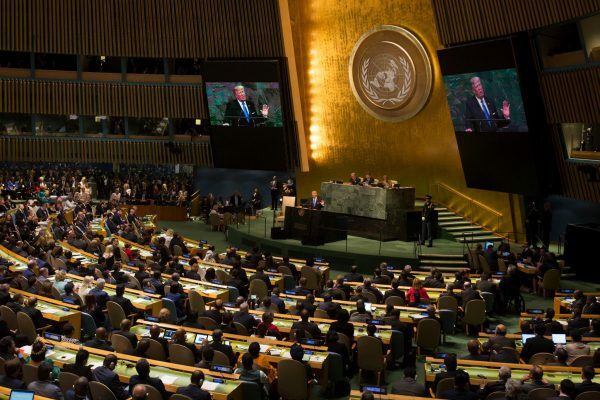 US President Donald Trump’s first address to the United Nations General Assembly will be remembered, above all, for its bizarre language, and its descriptions of North Korea as ‘depraved’, Iran as ‘murderous’, and Cuba and Venezuela as ‘corrupt’. And, beyond calling out miscreant member states by name, Trump also offered a fervent defence of his ‘America First’ agenda. But while Trump’s particular choice of words was new to the UN, his arguments were not. He pointed out, with some justification, that other countries also put their own national interests first. 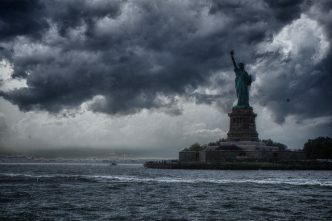 And he reprised a longstanding complaint within US foreign-policymaking circles: that it is somehow excessive and unfair to expect American taxpayers to pay for 22% of the UN’s total budget. After calling on the General Assembly to do its part to implement and then enforce sanctions against North Korea, Trump said, ‘Let’s see how they do’. But referring to the UN as ‘they’ implies that it is something apart from the US. Trump’s tone was that of a dissatisfied tenant, blaming the landlord for his home’s poor state of repair. But the UN is only as good as those who inhabit it, not least the US itself. 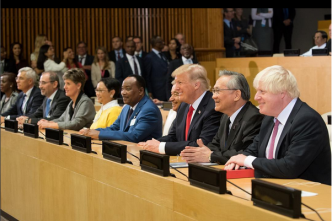 In his speech, Trump listed America’s many contributions to the world, and suggested that it keeps the UN around as a sort of favor to other countries in need of an international forum. He assumed no US responsibility for the UN’s fortunes, failures, or even its achievements. But, in addition to contributing more than any other country to the UN budget, the US also plays an outsize role within the institution. The US can thus claim credit for many of the UN’s successes; but it is also responsible for many of its failures. It is worth remembering that no UN secretary-general assumes office without US support. 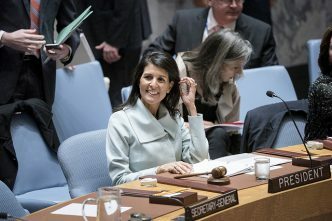 And, as a permanent member of the UN Security Council, the US has veto power over any UNSC action, including sanctions, deployments of peacekeepers, and official condemnations of other member states. Even if the UN’s large institutional bureaucracy can be unwieldy at times, its effectiveness ultimately depends on its most influential members. Consider the Bosnian conflict in the early 1990s, when the Security Council decided to send in UN peacekeepers, rather than deploying a more robust multilateral presence, as would have been allowed under Chapter 7 of the UN Charter. 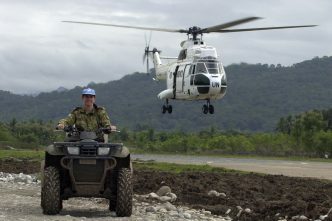 The United Kingdom and France, which contributed the bulk of the peacekeeping force, insisted on a peacekeeping mandate, because they did not want to put their troops in harm’s way. The US, for its part, refused to contribute any troops at all, and thus had no right to call for a stronger mandate that would have allowed UN forces to step in to end the violence. Although many Americans had witnessed the carnage from their living rooms and wanted the UN to do more to stop it, neither they nor their leaders—first George H.W. Bush and then Bill Clinton—had any interest in sending American troops to be a part of a Bosnian peacekeeping force. The result, as we now know, was that the killing continued, sometimes in the presence of UN peacekeepers whose countries had not given them a strong enough mandate to intervene. By the time the US-led Dayton Accords had put an end to the war, in December 1995, the UN’s peacekeeping capacity had been so thoroughly discredited that NATO war-fighting troops were sent in to take over from the UN Protection Force. In other words, when the situation required war fighters, peacekeepers were dispatched; and when the situation called for peacekeepers, war fighters were sent. None of this apparent dysfunction had anything to do with the UN. It was a direct result of UN member states’ decision-making. 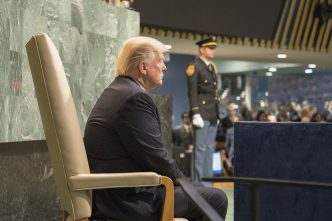 Even Trump’s dystopian and dyspeptic speech conceded that the UN makes valuable contributions to world peace, through peacekeeping missions and other forms of assistance. More often than not, this work is done in far-flung countries, where direct US involvement would be unpalatable to many American politicians’ constituents. The UN is far from perfect. But, rather than bash it, American leaders, starting with Trump, should understand that its actions and decisions are often an extension of their own. Christopher R. Hill, former US assistant secretary of state for East Asia, is dean of the Korbel School of International Studies, University of Denver, and the author of Outpost. This article is presented in partnership with Project Syndicate © 2017. Edited image courtesy of Facebook user White House.